Pay A Repair Shop A Lot Later... The Choice Is YOURS! Any car can benefit from SALT-X but specialized cars represent a Large investment In both dollars & work hours! 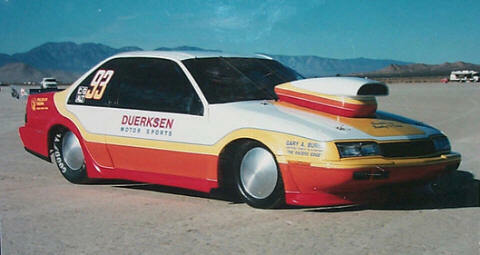 Racing these lean speed machines on the salt flats requires The ultimate in protection from salt & corrosion. SALT-X washes the salt away from cars! Washing & rinsing salt away from these vehicles ensures the longevity & safety of these racing machines. Brake systems on these vehicles are vulnerable to the harsh effects of salt & therefor require the ultimate protection with SALT-X. Listed below is one of these unique racing machines. Send us a picture of your racing machine & we will gladly post it on this site. 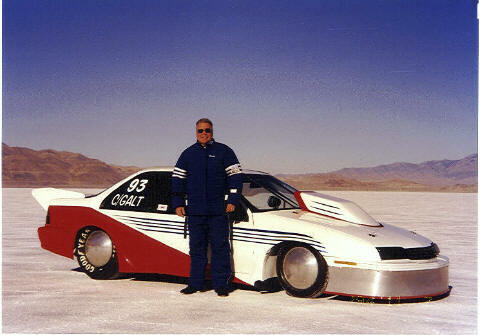 David Haller is the owner & driver of this C/Gas Altered Machine. The Car is powered by a 370 cubic inch naturally aspirated Chevy small block with a manual four speed and a 9 inch rear end. 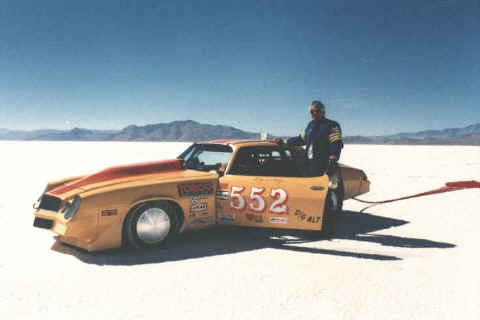 David is after the record set last year at 238 mph at Bonneville. For more info contact David at dhaller@techline.com. It's always a pleasure to hear from David! David is one of our customers who is into exreme sports and plays right on the edge. If you ever wondered why the car you drive is so safe and reliable, thank Dave and his crew who push the safety, stability, and technology window for better built future cars! engine and a five speed transmission. 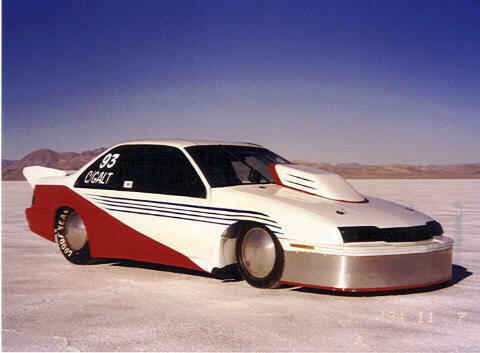 We haven't been able to run for the last two years due to rain outs of the September World of Speed Bonneville Salt Flats events that we attend. 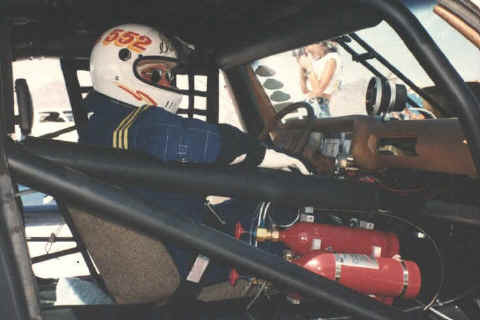 Prior to that time were were running in the mid 190's. Our hopes are high for the year 2000. We will once again make the 1800 mile trip in hopes of getting the car out of the trailer and onto the salt. We Salt-X the race car, tow truck and car trailer before we leave and after we return. So far the results have been good and it is our intention to continue using the product". SALT-X!!!!! SAFE!!!!! EFFECTIVE!!!!! ECONOMICAL!!!!! SALT-X!!!! !